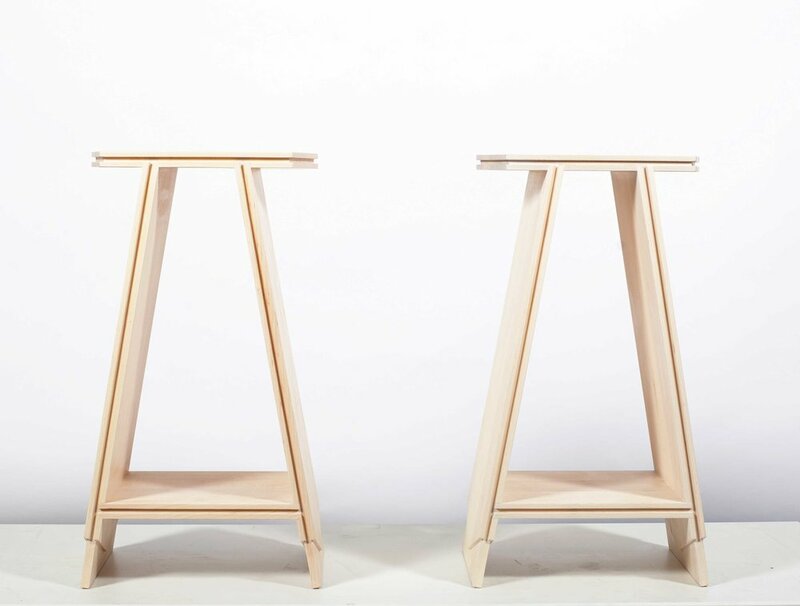 These side tables are multi-faceted in design and use. 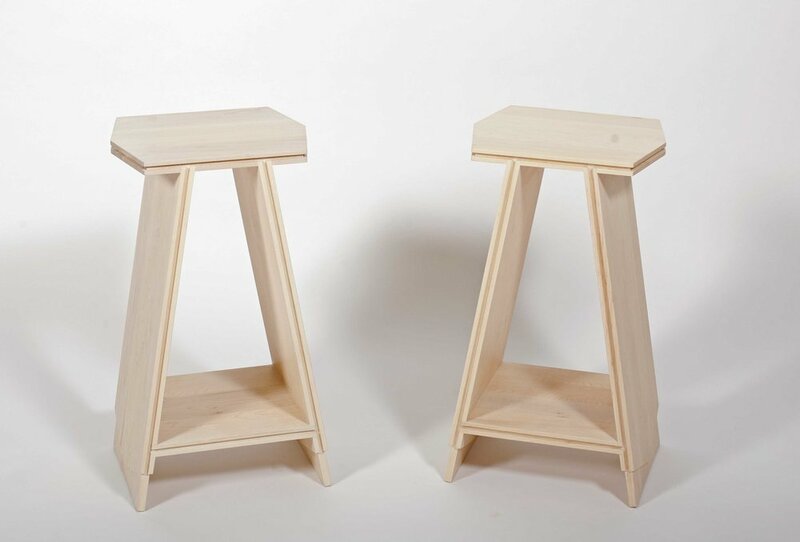 Good for end tables, night stands, the occasional table, and if in a pinch, a stool. Ready to land. Shown in Maple with white hardwax-oil finish.